The Hispanic population is the future of this country. The numbers are undeniable. Latinos now comprise 18% of the U.S. population with 55.4 million individuals. Hispanic children are one in four of all children in the United States. Unfortunately, 37.4% of these children live in poverty placing them at risk of minimal access to health care, human services and early care and education programs, with less than half of the low-income children participating in some form of pre-school or child care program. 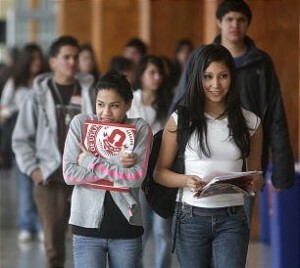 Hispanics adolescents are faring no better. They comprise the second largest cohort of youth with a thirty percent high school drop-out rate and the highest out-of-wedlock birth rates of all groups. These young people will be the population that will be one in three Americans in 2050. How do we all make sure that these children and youth have the opportunity to contribute to the future of America? It begins by legislators, policy makers, Federal, state and local leaders, foundations, national organizations and the media recognizing the changing face of America and responding to that change. The Pew Hispanic Research Center reports that not one more immigrant needs to enter this country for the persistent growth of the Latino population to occur. The action needed now is to engage in meaningful dialogue as to the positive impact that the Hispanic population has on the current economy and its potential for securing American economic leadership in the years to come. Let’s face the fact that it will be these children and youth who will be the contributors to social security, Medicaid, and to the defense of this country. Therefore we should invest now in policies and programs that allow this population to reach its full potential and be as successful as possible so that we all reap the benefits of their positive contribution. Beyond the dialogue there must be programmatic, research and policy interventions that address the demographic data. The nation has done this before. During the War on Poverty decision makers followed the demographic data and took intentional action to alleviate the social ills in society. The data on Hispanics is just as compelling today. There needs to be resources invested now by government, philanthropy, national groups and corporations to ensure that Hispanics are an educable and employable work forces with all the benefits to society that will follow.